Inking on the Edge: Reverse Confetti...SFYTT # 17 & Guest DT for Color Throwdown # 312...Boo To You! Reverse Confetti...SFYTT # 17 & Guest DT for Color Throwdown # 312...Boo To You! Hey fellow 'Fetti Fans! I've had a blast as the Reverse Confetti 'Fetti Friend for September and now October too...the fun continues!!! 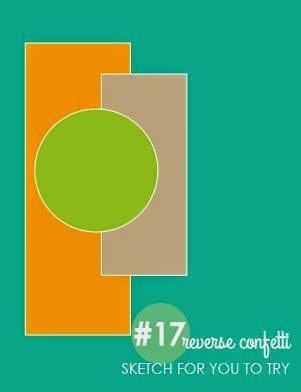 It is that time...time for the Reverse Confetti - Sketch For You To Try # 17 and I am thrilled to be the Guest Designer over at The Color Throwdown one of my all time favourite challenges. I'll the Guest for the month of October...Whoo hoo!!!! I've combined both fabulous challenges into this card! Here is the fabulous sketch that we have over at Reverse Confetti - SFYTT # 17! 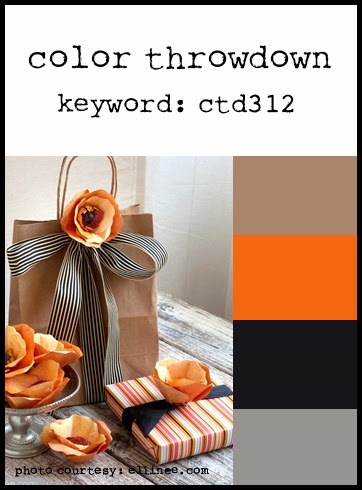 ...and here is the fabulous color combo that they have at The Color Throwdown # 312! I used MFT Replenishments Heavyweight Card Stock in Kraft, Orange Fizz, Black Licorice and Steel Blue. This week's Color Throwdown swatch is just screams Halloween! I made my card base from Kraft Heavyweight Card Stock, used Pebbles Thirty-One 6X6 papers and did some stamping with my Reverse Confetti Cast A Spell Stamps and Cast A Spell Confetti Cuts. 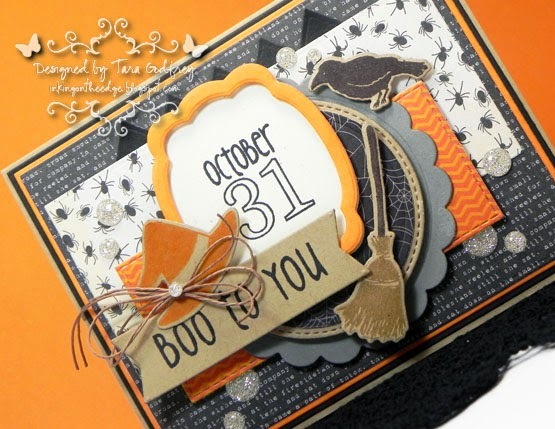 I used some spooky sentiments from the Reverse Confetti Spooky Sentiments Stamp set. I decided to flip the RC - SFYTT # 17 sketch and used my Reverse Confetti Circles 'N Scallops Confetti Cuts, Love Note Confetti Cuts and Give Thanks Labels Confetti Cuts. I embellished with some American Crafts Hemp cord and clear sparkly YNS Gumdrops. 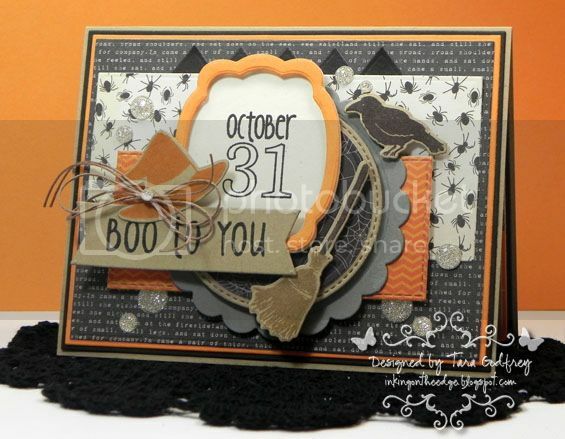 I finished off the inside of my card too...I stamped another sentiment from the Spooky Sentiments Stamp set. Thanks SO much for stopping by and having a little look at my card. I hope you can join us for the Reverse Confetti SFYTT #17 and The Color Throwdown # 312! really gorgeous Tara, great color with Halloween. Your card is CRAZY awesome girlie! LOVE every single detail! Perfection! Amazing as always! Seriously, how do you DO IT?!?! Wow, Tara, you have rocked these colors in this gorgeous Halloween creation! So happy to have you guesting with us this month! Fantastic card Tara. Love the super cute images, the layers... the inside looks amazing too. Definitely works of art....inside and out!! Love you're playing with us this month!! WOW!! 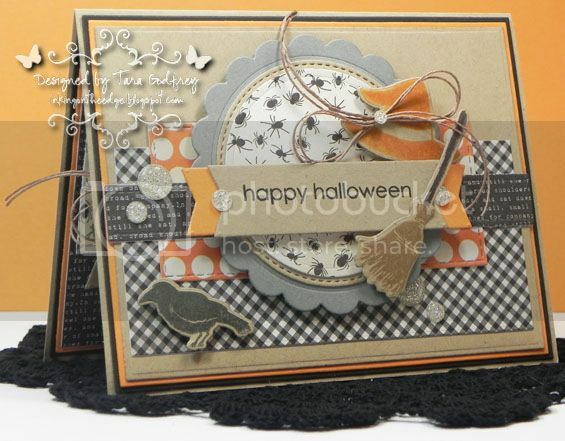 The inside is just as fabulous as the outside...love the RC stamps and dies you used and what an awesome layout!!!! I'm so glad you will be joining us this month at the CTD!!! Awesome design, Tara! You add the greatest details! I'm so happy to have you join us this month! Wow! This is really beautiful, Tara! I just love all the fun dimensional layers and the cool mix of patterns!! I'm so glad you're joining us this month! What a fun design! Love all of the layers and elements you combined on your card. We're so excited to have you join us as our guestie this month! SUPER gorgeous card, Tara! And the inside is just as pretty as the outside! We are thrilled to have you joining us this month! !